Find information about all types of wedding halls in New York--from big, lavish venues to smaller, more affordable ones. Book a reservation at one of the many great wedding halls NY has to offer, after your peruse our comprehensive guide to wedding services in New York. 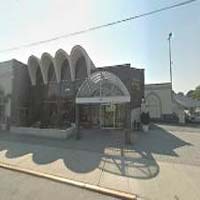 One of the Finest Wedding Reception Halls in NY! 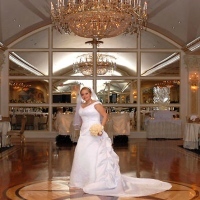 A family owned and operated business for over 25 years, Verdi's stands by its reputation as one of the finest wedding halls New York has to offer! The staff works with a team of wedding vendors; including planners, florists, entertainment companies, sound and lighting experts, and photographers to provide you with a beautiful ceremony that you will cherish forever! That's not to mention the outstanding cuisine and impeccable service! In addition to weddings; the catering hall is perfect for baptism celebrations, bar/bat mitzvahs, retirement parties, rehearsal dinners, anniversaries, bridal showers, baby showers, and more. Verdi's also serves the Queens area, with an additional location in Whitestone, NY. You cannot just get away with that perfect wedding gown without even thinking how and where to parade it on your perfect day. Free yourself from the hassle of garden and outdoor venues. Feel and indulge in that royalty inspired wedding with the magnificent ceilings and walls at one of the best wedding halls in NY—the Gotham Hall. Gotham Hall boasts an Art Deco ballroom with a seven-story-tall grand vaulted dome. 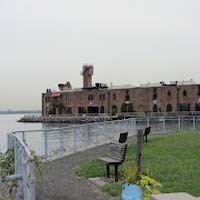 It has played host to everything from a Zac Posen fashion show to a Grammy after-party and of course countless weddings. While the space can hold up to 1200 guests, sweeping sheer curtains can make the space more intimate without blocking the hall's amazing architecture of Corinthian columns and marble floors. 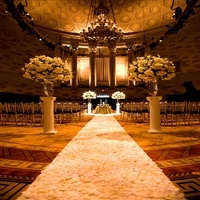 From elegant social events, to corporate gatherings and non-profit galas, you and your guests will enjoy the uncompromising attention to detail and exceptional personal service of our event coordination at the finest catering, reception and wedding hall in NY. A wedding is the most important day of your life. We all want to make our wedding memorable. 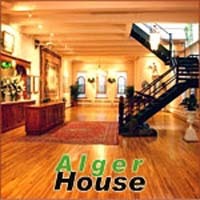 Alger House can be the perfect choice for this. It is one of the best wedding halls in New York. The venue is tucked away on a very quiet residential block in the West Village. It is stunning inside and out. Its food and drinks are high-end restaurant quality. Their service is also very good and well-mannered. Especially the bartenders are fabulous. The entire venue is gorgeously decorated and especially the staircase is a dream for any photographer. A wedding is the most important day in any one’s life. Everyone wants this day to be perfect and memorable. That’s why it is very important to select a good quality wedding hall. ‘Windows on the Lake’ is one of the best wedding halls in New York. It is situated in a beautiful location with a wonderful romantic atmosphere which is perfect for a wedding. It's famous for its charming chapels, stunning water views, romantic sunsets, spectacular gardens and mesmerizing waterfalls. Windows on the Lake can be recommended to anyone who wants their dream wedding to become a reality. The wedding hall plays an important role to make a wedding ceremony successful. It has to be appropriate for the wedding event. There is a great option for this which is ‘Glen Cove Mansion’. It is one of the best wedding halls in New York. It is situated on a vast area of 55 acres. 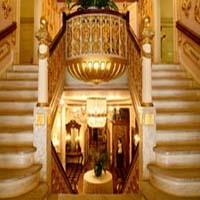 It is an elegant destination which blends classic upscale style with contemporary comfort. It has a wonderful elegance to create a great atmosphere for your wedding ceremony. They have nice and good food with polite service which surely makes the guests happy. If you are looking for a romantic spot to for have your wedding at The River Café is the perfect option for you. It is one of the best wedding halls in New York. The restaurant is naturally beautiful. It has an incredibly romantic atmosphere and delicious food. You can perform the ceremony while looking out at incredible views of the Manhattan skyline framed by twinkly fairy lights decorating the trees. The food is spectacular and the service is excellent. The River Café can be recommended to anyone who wants their dream wedding to become a reality. A wedding is the most important day of our life. All of us want to make this day as memorable as possible. 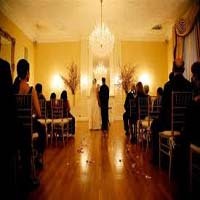 A good wedding venue plays a very important role in the event. We should be very careful to choose it. The Grand Prospect Hall is one of the best wedding halls in New York. The Grand Prospect Hall provides classical elegance with all the practical elements of modern world, a romantic atmosphere with gourmet food, first class service and functional spaces. They also help with other needed services such as DJ’s, Florists, Invitations, Limousines and more. All of us want to make our special day memorable. And when it comes to a wedding it is truly important to book a good wedding hall for the ceremony. Liberty Warehouse can be a great option for this. It is one of the best wedding halls in New York. The venue speaks for itself. The views are spectacular, the exposed wood, brick, and incredible views of the statue of liberty; what more could you ask for in one place. Even the interior looks absolutely beautiful. Their food and service is also amazing and will not give you a chance to complain. A wedding is one of the most important things in our life. So the event should be placed in a great wedding hall. For this reason there is a great option named Deity. It is one of the best wedding halls in New York. It is a former synagogue that’s been revamped from protecting the holy and sacrosanct to promoting the corporeal and epicurean. 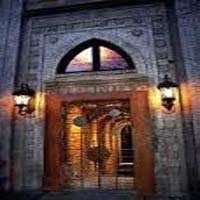 They have three floors; the second floor is the ceremony space which has high ceilings and exposed brick walls, the 1st floor is for the cocktail reception and the club is in the basement. They also offer great catering services. A wedding is the most important day in anyone’s life. All of us want to get married in a nice and beautiful place. Midtown Loft & Terrace can be a great option for this. It is one of the best wedding halls in New York. Their wide rooftop, intimate setting for the ceremony and the loft space for the reception will surely make you utterly impressed. Midtown Loft & Terrace is an elegant destination which matches classic upscale style with modern comfort. They provide a romantic atmosphere with gourmet food, first class service and functional spaces. To make a wedding ceremony successful you have to select a good wedding hall. Because a wedding hall plays an important role to make a wedding ceremony successful, it has to be appropriate for the wedding event. There is a great option for this which is ‘3 west club’. 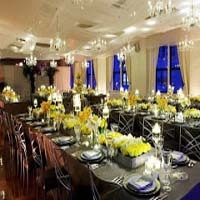 It is one of the nicest and best wedding halls in New York. It is excellently beautiful inside and out. Its food and drinks are high-end restaurant quality. Their service is also very good and well-mannered. Have your wedding here for an unforgettable experience. The best day of our life is our wedding day. We step into a whole new chapter of our life on this day. So this day has to be perfect. To make a perfect wedding it is very important to choose a great wedding venue. Villa Barone Manor can definitely fulfill this wish. It is one of the best wedding halls in New York. You can't say enough about the Villa Barone Manor. 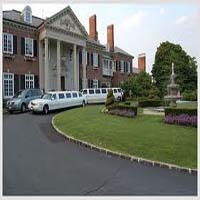 The owners as well as the staff are all professional and willing to make your event the most memorable occasion. They provide outstanding food with nice service.